“The third district is currently on the scene of a stabbing in the 1400 block of W St., Northwest. An adult victim sustain life threatening injuries on that scene. 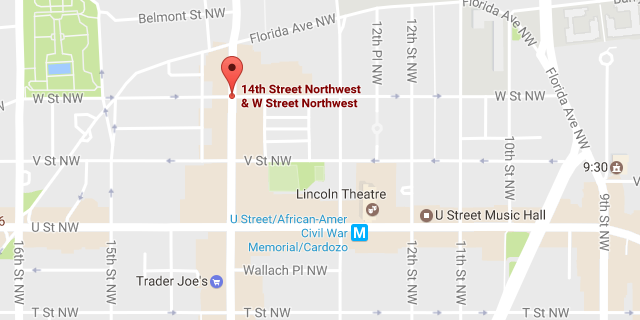 “Detectives from the Metropolitan Police Department’s Homicide Branch are investigating a fatal stabbing that occurred in the 1400 block of W Street, Northwest on Sunday, January 8, 2017. At approximately 8:05 pm, members of the Third District responded to the listed location for a call of an unconscious person. Upon arrival, members located an adult female, in the hallway of the building, suffering from multiple stab wounds. The victim was transported to a local hospital, where all lifesaving efforts failed and she was pronounced dead. The decedent has been identified as 23-year-old Waliyatou Amadou of Northwest, DC.